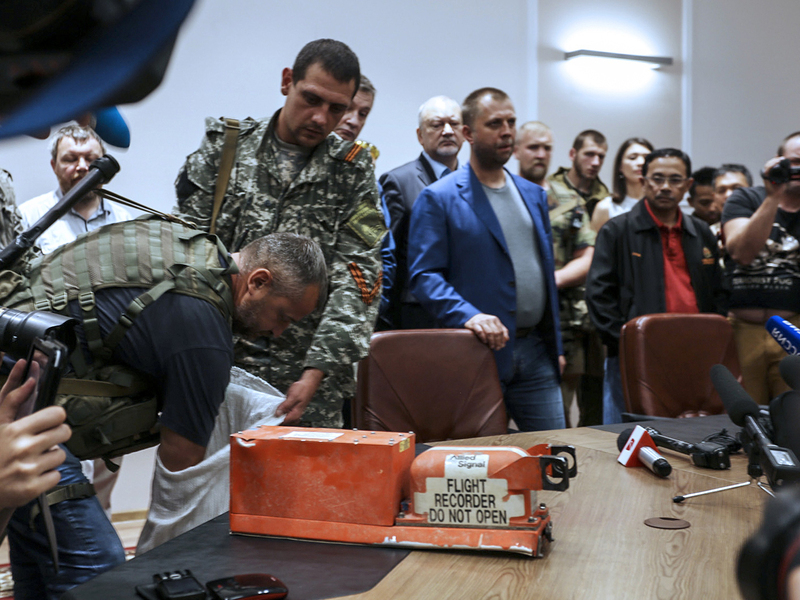 Unreleased data from a black box retrieved from the wreckage of Malaysia Airlines Flight 17 in Ukraine show findings consistent with the plane's fuselage being hit multiple times by shrapnel from a missile explosion. The escalating conflict in Ukraine adds to the difficulty of investigating the disaster. If the full teams of aviation crash experts and security personnel ever do arrive at the crash site in Grabovo, it will be a relief to the handful who are already there. The dedicated but small group of Dutch, Australian and Malaysian investigators has been on the crash site for the past few days and has learned that there's a lot more work to be done to find hard evidence of the cause of the crash. They are also still making more grisly discoveries. "Personal belongings, passports, ID cards, credit cards, things like that," Michael Borkiurkiw of the OSCE said, "and the Dutch have just documented some very small human remains over there in that field as well." Around a hundred passengers are still unaccounted for. They are finding more evidence, though, of the sort of blast holes through the plane that an exploding missile might make. The Dutch say their full team will concentrate on this sort of specific find. Covering the vast crash site systematically would be too difficult, and security arrangements are still uncertain. The issue is: Who's in charge? Any deal cut with the central government in Kiev has zero value in an area it doesn't control. As for the rebels who do control the countryside, they haven't been around the crash site for days. The war between the rebels and the central Ukrainian government has been intensifying. The window for getting to the crash site to gather evidence may be closing.